When markets discuss what the centralized card swiping systems add to their market, they often talk of shoppers not needing to stop for cash on an early Saturday morning or about being able to reintroduce markets to their low-income neighbors who want to use their electronic benefit program funds. Both reasons are extremely important but I often share the story of Crescent City Farmers Market’s use of the wooden token systems to highlight community. 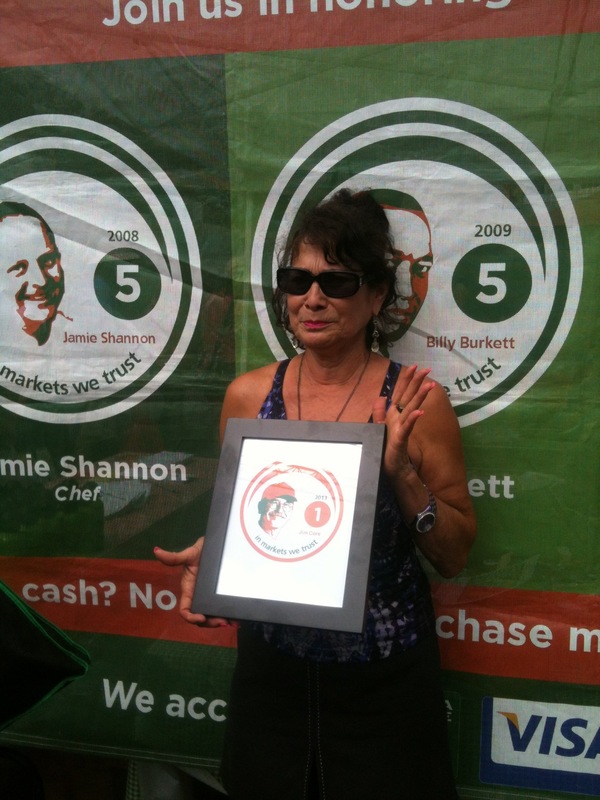 One of the loveliest examples of their system is the honoring of late local heroes on their tokens: founding CCFM farmer Billy Burkett, chef Jamie Shannon of Commander’s Palace, cultural cooking educator Lee Barnes and Tabasco company cook, farmer Jim Core and author Eula Mae Doré have been remembered this way. Diana Pinckley, local community force and early CCFM board chairperson joined the others this year; her tragic passing in 2012 was a blow to many across the region who depended on her for advice, support and a pithy comment warmly offered. Appropriately, Memorial Day weekend was chosen to offer the newest token and Diana’s husband and close friends toasted her with beet lemonade and proudly used “the Pinckley” to get their strawberries and shrimp. I am reminded every time a token is unveiled how sweet it is for the honoree’s family and friends to see how the market community remembers them and how local currencies can do many things for a market besides offering a shortcut to sales. I am proud to see our New Orleans market lead in this way. 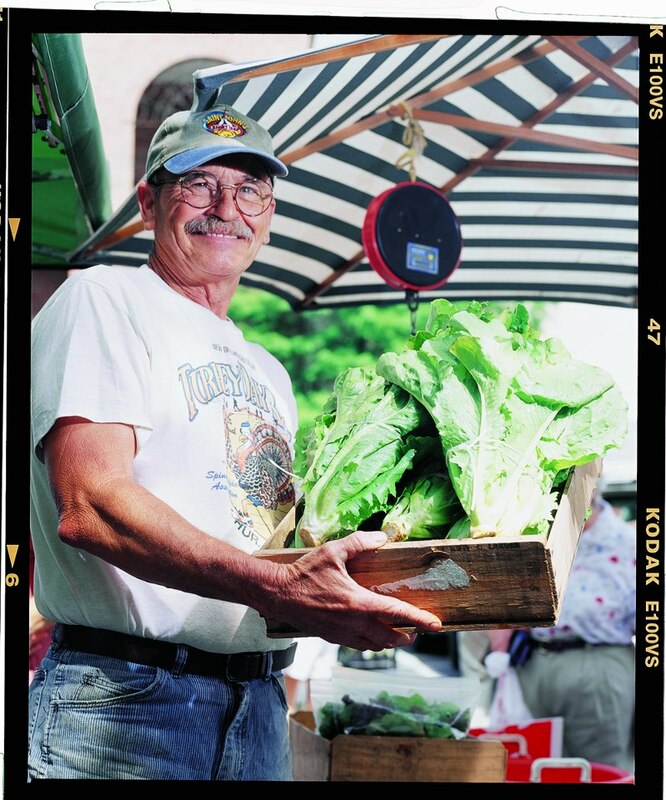 Each year the Crescent City Farmers Market selects a local food hero to feature on wooden tokens that may be purchased at the market welcome tent using credit or debit cards, then spent with vendors at the market. 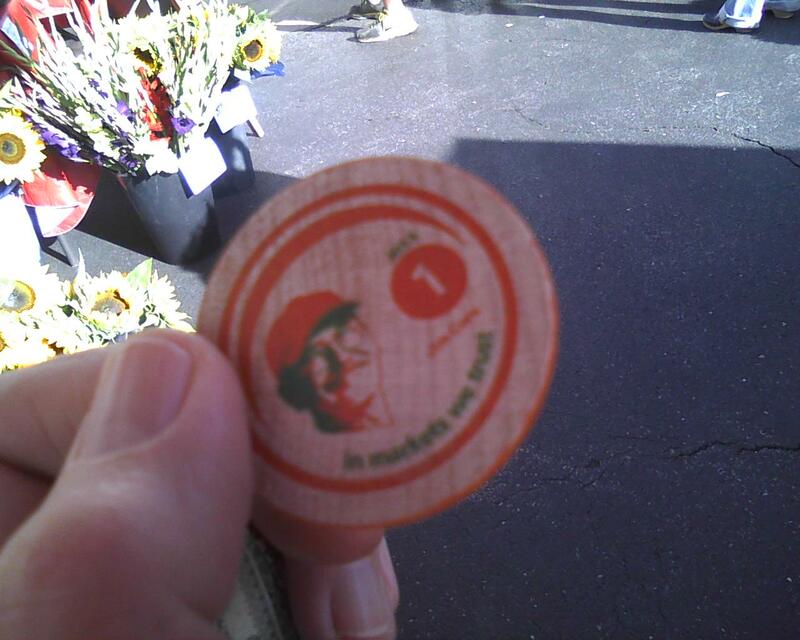 Other local food heroes memorialized on CCFM tokens include Commander Palace Chef Jamie Shannon (1961-2001), Mississippi farmer and CCFM vendor James “Billy Corn” Burkett (1928-1995) and cooking school pioneer Lee Barnes (1951-1992) and Eula Mae Doré (1929-2008). 2013’s token honors Jim Core, who passed away during 2012 after a long illness. His wife Gladys and grandson A.J. continue to run the family market business, assisted by sister-in-law Gay. The Cores are anchor vendors at both the Crescent City Farmers Market and the Covington Farmers Market. Gladys Core, Jim’s widow and herself a mainstay at the markets for their farm’s many years as anchor vendors. One of the 35 or so short films I did for MarketUmbrella a few years ago to show the resiliency and enterprise in our farmers, fishers and markets. 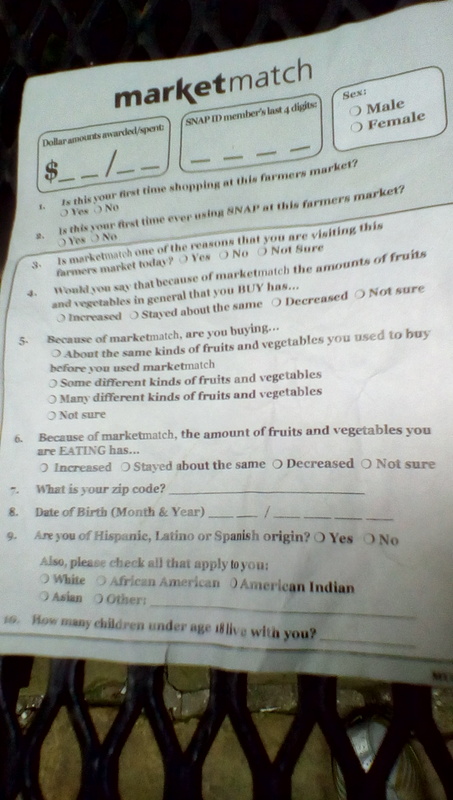 This one was designed for new vendors to watch so that they could understand what “setting up” at the market meant. All are available on YouTube. I arrived at the Covington Farmers Market and saw Jan almost immediately. Sadly, she told me that she had news this morning that one of the shared vendors between CCFM and CVM had passed away overnight.It was not entirely unexpected, but still a shock. We talked quietly of Jim and Gladys for a few minutes and then I spoke to AJ, their grandson (the up and coming farmer in the family) who valiantly came to sell on this sad morning. Jim would have agreed with AJ on that. Now is the time to support the family as only a market community can – with small moments of consideration and shared memories. Thanks Jim for your never-ending innovation and humor. We’ll do our best to assist Taylor’s Happy Oaks Farm.